Futuristic visions went into the design of this William Henry pocket knife from the Gentac collection. 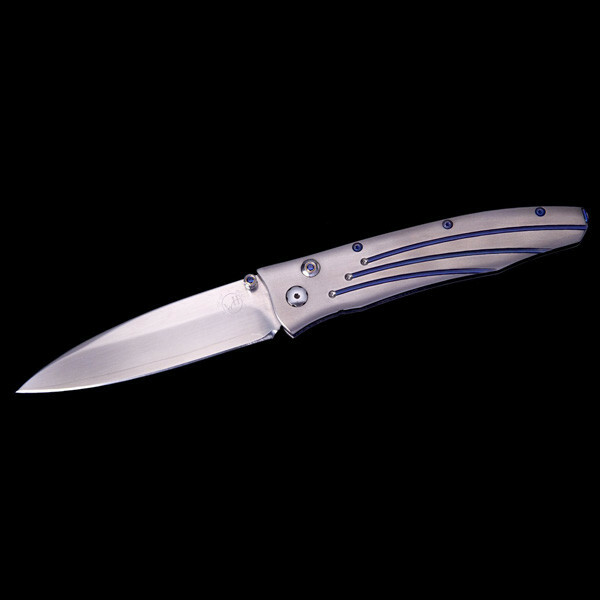 The Saturn is contrived in aerospace-grade titanium with a titanium pocket clip, and the highly touted strength of ZDP-189 steel is present in this 3.25" blade. 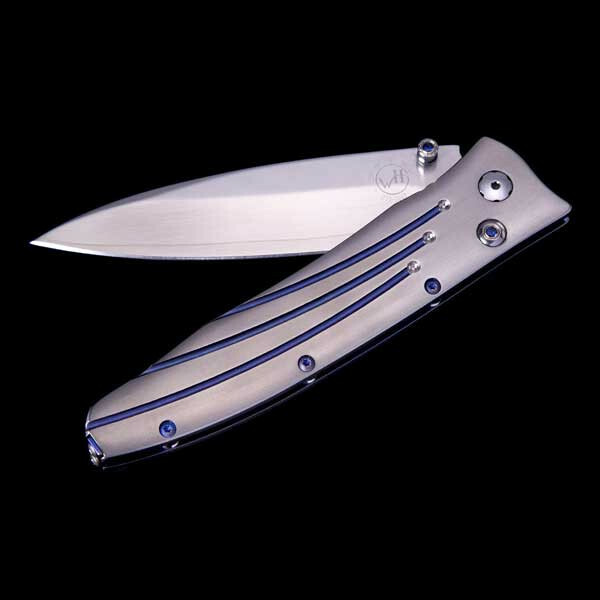 Cosmic blue lines run up the hilt and pop the kashmir blue topaz that are set in the thumb stud and button lock. The space-age man will cherish this William Henry creation.